Is there a better alternative to Screen Studio? Is Screen Studio really the best app in Screen Savers category? Will Screen Studio work good on macOS 10.13.4? Save animations as stand alone applications. Adjust the display size of characters. Adjust the display positioning of the background graphic. Screen Studio needs a review. Be the first to review this app and get the discussion started! Screen Studio needs a rating. Be the first to rate this app and get the discussion started! Screen Studio allows anyone to easily create professional looking screen savers. It also comes with a large amount of clip art, including popular characters from After Dark, such as the Flying Toaster, Bad Dog, Boris and fish from the popular Fish module, as well as sound files, so you can quickly try your hand at making your very own personalized screen savers. You can specify a variety of actions for your characters, including what path they follow across the screen, what they do after they leave the screen, as well as what they do when they collide with another character. 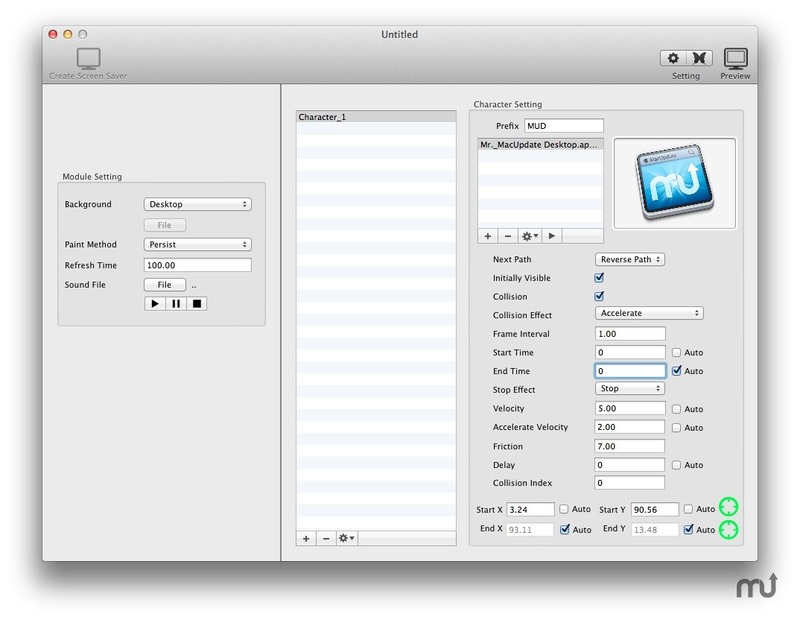 Screen Studio's preview function makes it easy to check on how your screen saver will look. When everything is ready just save it and place the screen saver in your Screen Saver folder. Then sit back and enjoy the show. Screen savers that you have made can also be reopened and edited, so it is easy to change things if you are not totally satisfied. Use Screen Studio to make unique photo displays to send to your friends, or create a customized corporate screen saver for your company. The possibilities are limited only by your imagination.